If you're looking for a dining room table that offers both style and durability, this table is a must-see. Taller than your standard dining room table, the counter height will enrich your dining area with a casual vibe that your guests will love. 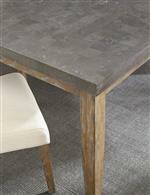 Built to last, this table features a durable bluestone top resting on sturdy legs crafted from ash veneers. 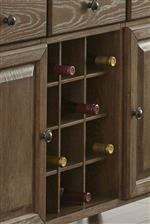 The driftwood finish brings out the natural bends and curves of the wood grain and complements the dark stone top beautifully. The Debby Transitional Square Counter Height Dining Table with Bluestone Top by Steve Silver at Walker's Furniture in the Spokane, Kennewick, Tri-Cities, Wenatchee, Coeur D’Alene, Yakima, Walla Walla, Umatilla, Moses Lake area. Product availability may vary. Contact us for the most current availability on this product. 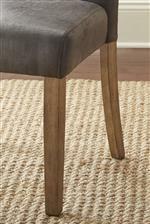 The Debby collection is a great option if you are looking for Industrial Transitional Contemporary furniture in the Spokane, Kennewick, Tri-Cities, Wenatchee, Coeur D’Alene, Yakima, Walla Walla, Umatilla, Moses Lake area. 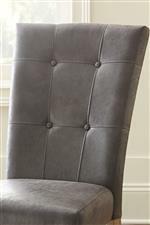 Browse other items in the Debby collection from Walker's Furniture in the Spokane, Kennewick, Tri-Cities, Wenatchee, Coeur D’Alene, Yakima, Walla Walla, Umatilla, Moses Lake area.